journals. It’s great to share the validated tools and techniques that form the backbone of our approach when working in the field so they can help other organisations and even more animals. I hope you enjoy this report – any feedback or thoughts you have will always be gratefully received. We’re super proud of what we’ve achieved, but always recognise there is lots more to do and many new exciting projects needing to be set up. Let’s get to it! Thanks for being such a key part of the WVS adventures – looking forward to many more in 2019! Rock on! We have been championing animal welfare worldwide ever since we began in 2003. Grace and Celia’s story Grace and Celia had their health restored by WVS Thailand after being rescued from neglect and a filthy cramped cage. Their transformation was incredible! Care for Cats 144 cats were sterilised and vaccinated during a weeklong project helping Chiang Mai’s cats. Thanks to the Marchig Animal Welfare Trust, we were able to fund the build of a roof for a bear enclosure at our supported charity La Senda Verde. Ajayu is blind and deaf, and the neighbouring spider monkeys at the centre often jump into his enclosure to steal his food! Therefore, a roof was necessary to help this bear enjoy his meals in peace! The team from ITC India have been running rabies vaccination campaigns and vaccinated 2,095 dogs in the Nilgiris region in just one week! We extended our working equine programme to Africa, helping the donkeys of Bukombe, Tanzania by providing doughnut bandages. These protect the animals from wounds caused by the rough wood that rubs on the donkeys’ necks when pulling carts. INTERNATIONAL TRAINING CENTRES At WVS, we believe education is key to ensuring animals get the best care possible. By training vets and vet students at our three International Training Centres (ITC) we are empowering people with essential skills and knowledge to improve veterinary care. This year, our Thai team sterilised and treated dogs and cats from across Chiang Mai and the wider region, running outreach projects in the villages of Pai and Sukhothai. International vet students and local animal welfare workers have taken part in surgical courses at the centre while also gaining an insight into shelter management at our neighbouring dog shelter. 2018 in Goa saw the successful training of local and international vets, with each cohort also getting the opportunity to spend a day with the team from our sister charity Mission Rabies, working together to vaccinate dogs and eliminate this deadly disease. This year has also seen increased collaboration with local governments in Thailand and Myanmar for sterilisation and rabies control projects. In 2018, we had 11 vets and 7 vet nurses travel to Blantyre to assist the team at the BSPCA with their vital veterinary work. As one of the only clinics in the region, people travelled far to ensure their animals got the care they needed and we have seen increased awareness and support from the community. As well as the everyday clinics at the centre, the team ran outreach clinics at local schools, converting classrooms into operating theatres for the weekend. In total, we sterilised 916 dogs and 81 cats as well as rescuing and providing treatment for even more animals this year! A local community member found Mable slumped outside a house and was shocked to see how skinny she was. She also had a severely infected leg wound causing her to limp. This heart-breaking scene led her to call WVS. Our vets from the BSPCA came out to collect her and once back at the centre, treated her wound. After recovering from the infection and enjoying some good meals, she was doing much better and was ready to be adopted into a new loving home! As well as WVS projects, we aim to help as many other animal welfare charities and NGOs as possible, whether it be with parcels of supplies or teams of volunteers. These are just a few of our supported charity trips that volunteers have got involved with during 2018. In the heart of the jungle, Costa Rica’s howler monkeys face regular threat of electrocution due to mistaking the power lines for vines. The team at Nosara Refuge for Wildlife are determined to rescue and treat these injured monkeys and we’ve sent volunteers to assist them with their care! We’ve been supporting the small team at Save the Dogs in Romania for a number of years and in 2018, they’ve helped rescue and treat an incredible number of dogs, focusing on animal birth control. In this rural sterilisation project, our volunteers have been helping Maun Animal Welfare Society with animal birth control and emergency treatments, often in challenging field conditions! 2018 has seen the expansion of our work with wildlife and we’re proud to partner with Siyafunda, where we send volunteers to two wildlife conservation and endangered species programmes. Our volunteers have been helping track animals in the wild and collect vital data to ensure their survival. CARRIACOU & GRENADA In the beautiful Caribbean lies the islands of Grenada and Carriacou. We’ve sent teams to GSPCA and Carriacou Animal Hospital to support these small but vital services. As the only veterinary care on the island it is essential these centres receive support in the form of skilled veterinary volunteers! As the world’s only all-terrain mobile veterinary hospital, the Mission Rabies truck is a huge part of our collaborative work with our sister charity. Although the truck is often utilised for outreach work, ensuring animals in even the most rural parts of India can be treated, it spends much of the year based in the state of Goa, where our Hicks ITC is located! WVS has been utilising this incredible vehicle for surgical courses and specialist lectures, training local vets in animal birth control techniques and how to deal with challenging cases. Throughout 2018, the truck has travelled to Bardez, Tiswadi, Pune and Nagpur in India to deliver these educational courses, provide free veterinary care to the communities and assist with rabies response. Located just down the road from WVS HQ in the village of Cranborne, Dorset, is our very own bookshop!! Not only is this shop home to thousands of donated books, it also has a sewing room full of vintage fabrics and textiles! We are incredibly grateful to all our volunteers who give up their time to help us run the shop and spread the latest WVS news! We also have our online shop, selling all of our WVS merchandise, seasonal items and the extremely popular Mini Vet Guide, essential for any vet student! This year, we were excited to launch Young Vets Club, our membership scheme for children and young animal lovers across the world. On signing up, children receive a Vet Adventurer Handbook, stickers, fun animal fact cards, a collection box to colour in, an animal sponsorship package and a cuddly toy – all for just £30 a year! With help from WVS CEO Luke Gamble and CBeebies presenter Jess French, we’re helping to educate young animal lovers on important welfare issues and how they can become our vets and vet nurses of the future! 2018 was a very special year for WVS! It marked our 15th anniversary and we had plenty to celebrate. Our Autumn edition of the WVS Dispatch featured all our highlights from each year and showed just how much we’ve achieved since we started. 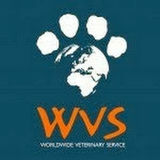 We’d like to take this opportunity to thank everyone who has been a part of the WVS journey and helped us along the way! To mark this milestone, we produced a limited edition 2019 calendar, using some of our best photos and a selection of our volunteers’ favourite photos from over the years. The proceeds from this will help us do even more over the next 15 years. We also hosted a birthday party in Ringwood with the help of Boston Tea Party who assisted us with coffee and cake for all our supporters! It was wonderful sharing our latest achievements and thanks to our local supporters, we raised over £6,000! 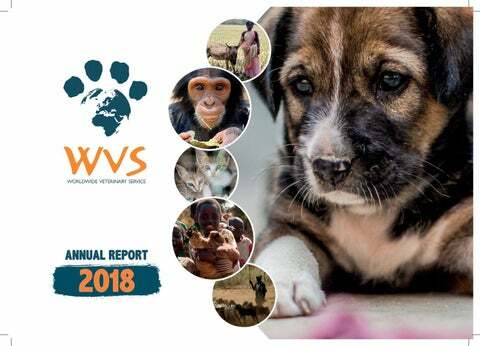 2018 has been an incredible year for fundraising here at WVS! In total, our awesome supporters have raised over ÂŁ14,000 through challenges and events. Every donation we receive helps us ensure more and more animals get the veterinary care they need. WVS has been working with the donkeys of Tamil Nadu, India since 2011, providing veterinary care and educating the owners on various welfare issues. The biggest concern was the number of preventable wounds and mutilations seen in the donkeys at the WVS outreach clinics. WVS International Research Manager, Dr Emma Rayner, led a study to investigate the prevalence of these wounds in order to understand the issues in greater detail. This will help to create a focused plan to reduce these wounds through culturally driven, targeted education which will aim to improve the welfare of the donkeys as well as the lives of their owners. You can read the full paper on the Veterinary Record or see a video outlining Emma’s research on our YouTube channel! Our four new membership schemes are the perfect way for supporters to do even more for animals in need. For a regular donation, each member receives a welcome pack, regular copies of the WVS Dispatch to their door and an animal sponsorship package! !